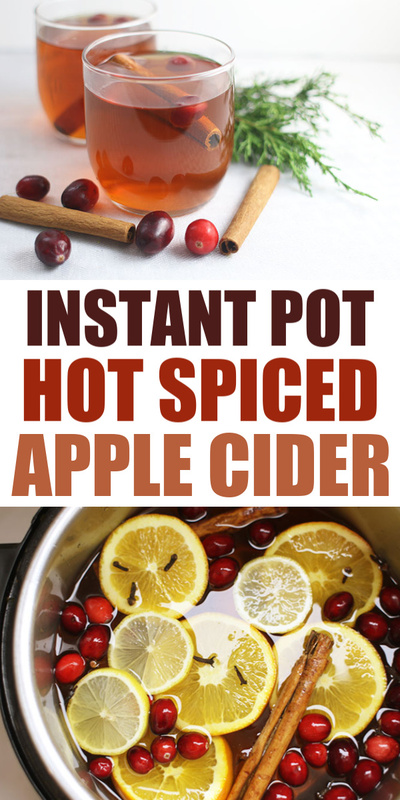 For years I’ve been making a Spiced Apple Cider on my stovetop. 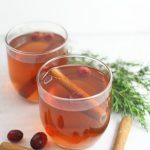 This year I decided to dress it up a little more and make a batch in my Instant Pot. I could not be more happy with how it turned out! The best part was not having to wait hours for it to simmer and the flavors to meld together. With the Instant Pot version, it was ready in around 40 minutes. 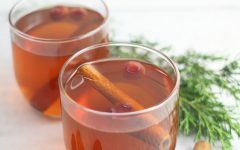 I should note – this recipe is very forgiving and you add to or omit many of the ingredients and still have an amazing drink! Also, I know there are versions out there that begin with lots of cut up apples and water and that is probably a more “true” apple cider. 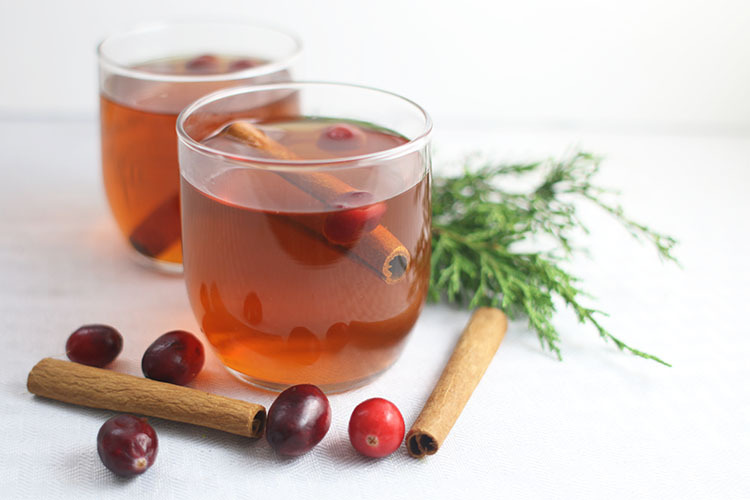 But I prefer this easy version and it’s always a hit at our parties and church events! 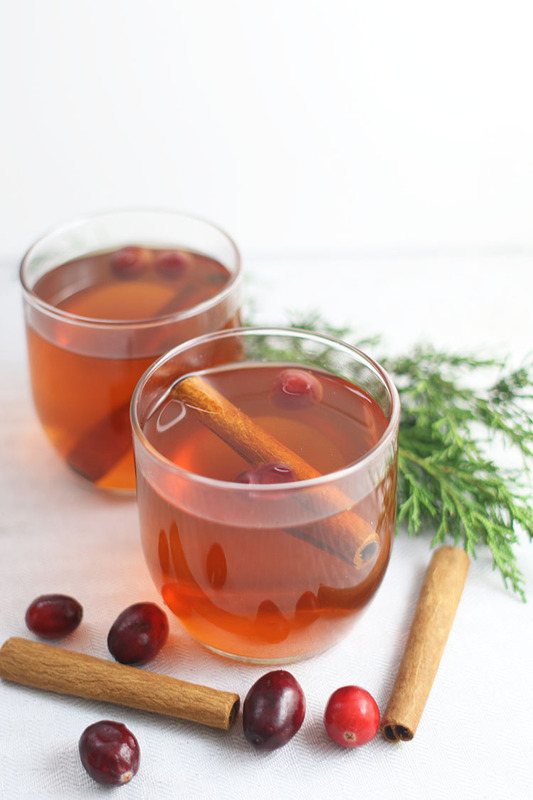 For my original stovetop version, I use cloves, cinnamon, allspice, nutmet and an orange. 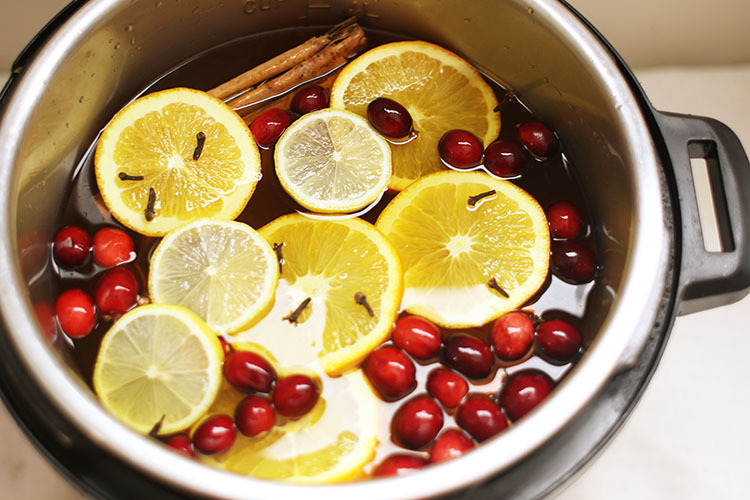 For this version, I used only cloves and cinnamon, but added cranberries and sliced lemons for a more citrus-y cider. Bother are incredibly delicious, so make it your own and don’t feel guilty if you change it up a little. It only took me about 5 minutes to prep this recipe. First I sliced the lemons and oranges, then tossed everything in my Instant Pot. Next, I set it to manual high pressure for 15 minutes and that was IT! It took around 20 minutes for the Instant Pot to seal (that may vary if your apple juice is cold – mine was at room temp). And once it’s done, you can enjoy it immediately or let it sit on warm for as long as you like. I transferred mine to an urn with a dispenser because we were serving it at a party, but I’ve also left it in the pot before and used a ladel for serving. Either way – you’re good to go! 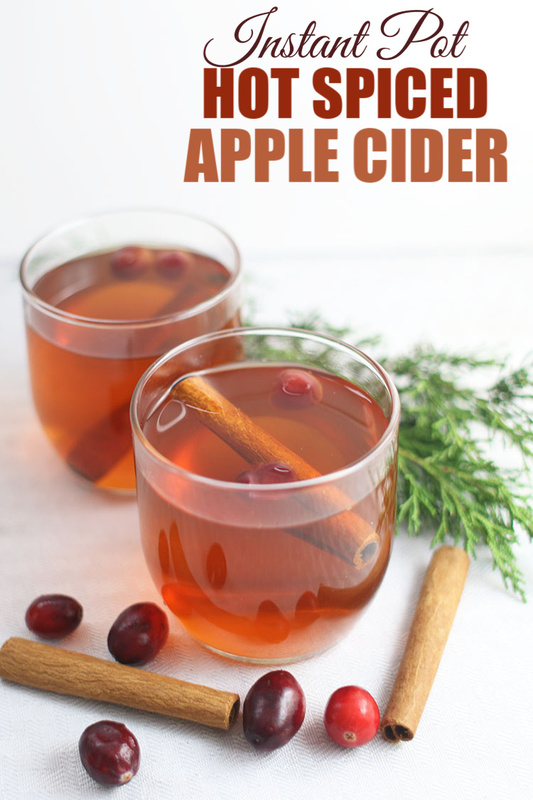 Do you love apples and apple recipes? 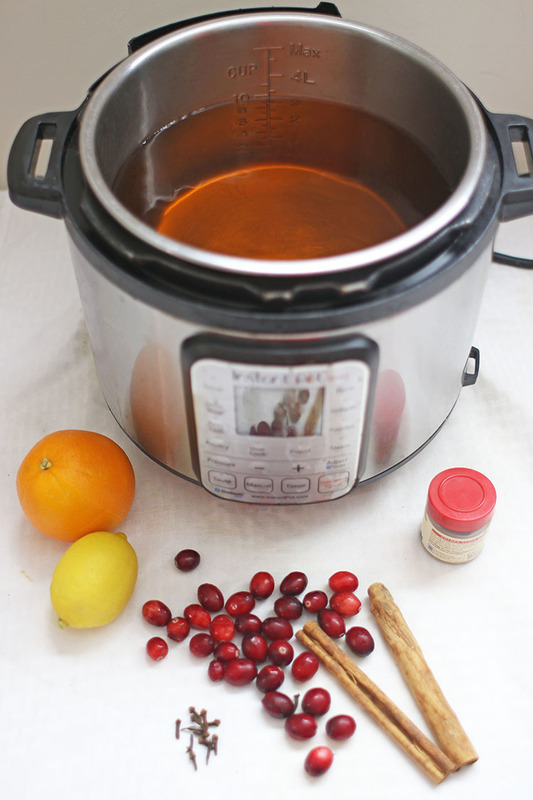 Check out this One Minute Pressure Cooker Apple Sauce! Without any more rambling… here’s the recipe for you.